Go all in with your pre-event promotions when you print Casino Chips Invitations and send them out in advance. 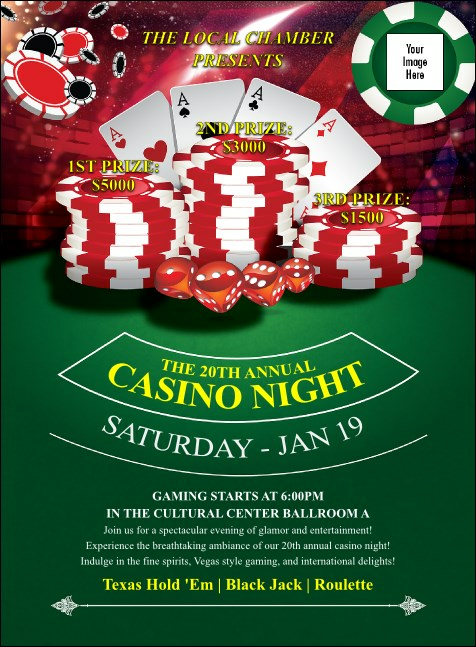 Put lady luck on your guest list with Invitation templates that feature a big, green felt poker table with piles of chips and all four aces, along with space to upload your own unique image, like sponsor logos or pictures of featured players. It pays to put your money on TicketPrinting.com!